The main highlight of the Cleveland 2018 CBX wedge is the cavity-back design. With cavity-back irons being so popular nowadays, a cavity-back wedge will offer smoother transitions throughout your clubs. While most cavity-back designs suffer from a sacrifice in feel and sound, the Cleveland 2018 CBX tackled that issue with the Feel Balancing Technology, moving the center of gravity closer to the center of the face to make it more responsive. A very nice balance between forgiveness, performance, and feel. The Callaway Mack Daddy 4 lives up to the big names of both the Callaway brand and the Mack Daddy series. It features the newest Groove-In-Groove technology to create more friction in-between your actual grooves, with Callaway claiming the technology improves the generated ball spin by 1,000 RPM over the Mack Daddy 3. If you are looking for that extra control, performance, and that classic Callaway look and feel, the Mack Daddy 4 is for you. If you are looking for maximum forgiveness in your short game, there’s no better choice than the Cleveland Smart Sole 3.0. The Smart Sole 3.0 is designed solely for the purpose of simplifying your short game with two different versions: the 3S is designed for your sand game, and the 3C for easier chip shots. The key feature is the three-tiered sole design, allowing easier turf interaction. There’s not much to offer in the versatility and performance departments, but the Smart Sole 3.0 can indeed be an easy fix for your short game. If you are a low single-digit golfer looking for that forged club feel, the Mizuno T7 is for you. The T7 tackled the common issue of a forged wedge where the grooves won’t last that long by infusing the forged steelhead with Boron for that extra durability. 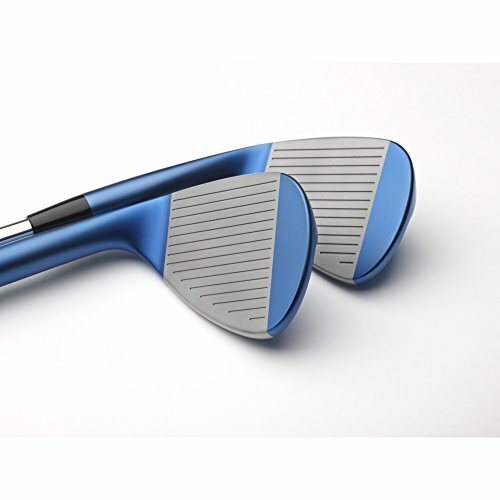 Superb feel, soft yet responsive with sharp and thin sound as expected from a forged head. Excellent performance with a massive amount of spin. The only downside is in the forgiveness department, making the Mizuno T7 strictly for better players. 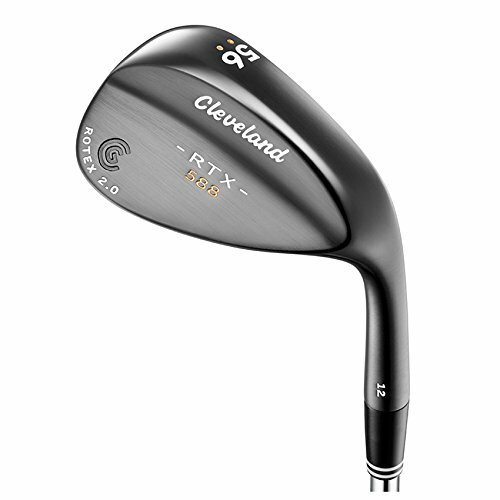 Yet another entry by Cleveland, the Cleveland 588 RTX 2.0 is the last wedge (at least for now) bearing the iconic 588 name. The key highlights here is the blade design with sole grinds on the heel and toe, the Rotex 2 face generating excellent amount of spin, and the excellent versatility provided by the loft-bounce options. 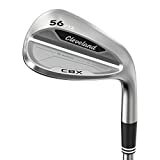 Being a relatively older club, the Cleveland 588 RTX 2.0 is also relatively affordable, making it a great choice for those looking for an affordable wedge with excellent feel and performance. 1.8.1 How many wedges should I carry? 1.8.2 How can I assess the quality of a golf wedge? 1.8.4 What shot types can I accomplish with a wedge? 1.8.5 What is the wedge bounce? 1.8.6 What is the wedge grind? 1.8.7 What is the wedge finish? Many golfers, including Tour players, are now adopting the cavity-back irons for the extra forgiveness. While cavity back irons used to compromise feel and performance, it is no longer the case thanks to the advancements in technology, leading to the increase in popularity. Yet, with cavity back irons being so popular, the same thing can’t be said with wedges. The Cleveland 2018 CBXwedges are designed to answer this demand. With a cavity back wedge, your transition between your cavity-back irons and the wedges will be much smoother. With the cavity-back design, Cleveland saves around 76 grams of mass from the back of the club head, increasing Moment of Inertia (MOI) and hence increasing forgiveness. The sole area of the CBX is also very wide to give you yet more forgiveness. A common issue with forgiveness-focused club design and cavity-back design is the compromise in feel. While the CBX is still not as responsive as Cleveland’s blade wedges such as the RTX-3, it still offers a very nice and responsive overall feel thanks to several technologies implemented. First, there’s the Feel Balancing technology, which in essence is moving the center of gravity further to the center of the head to counter the cavity-back design. Second, there’s the Dual V-sole allowing more versatility when playing from the grass. Regarding performance, there are the Rotex 3 grooves on the face. With the Rotex 3 design, Cleveland laser-milled extra friction lines between the grooves. 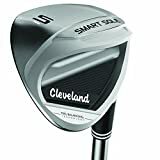 As the result of this design, the spin of the Cleveland 2018 CBX wedge is really high, among the best in the market. In the looks department, the Cleveland 2018 CBX combines some classic elements with high-tech, modern designs. The chrome silver finish looks really good it, and although the design is a little toe-heavy, it still looks good with a relatively compact head. The CBX wedge is also surprisingly light, mainly due to the stock shaft, which is the True Temper Dynamic Gold that is only 115 grams. Our Verdict A rare balance between forgiveness -thanks to the cavity back design-, feel -thanks to the Feel Balancing technology-, and performance -thanks to the superb spin of the Rotex 3 face-. The cavity-back design offers a nicer transition from your cavity-back irons. 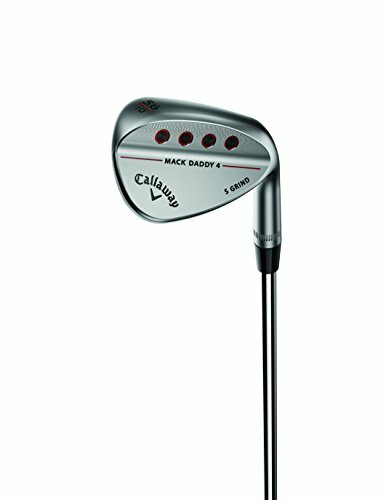 The Callaway Mack Daddy 4 is, as the name suggests, the 4th iteration of the highly successful Mack Daddy wedges. The nickname ‘Mack Daddy’ was originally given by Phil Mickelson to Callaway’s grooves on their Callaway X Tour Wedge back in 2006, and since then, Callaway has turned the Mack Daddy into a very successful brand featuring the high-spin grooves. The Callaway Mack Daddy 4 has been regarded by many as one of the best wedges ever made, so, what does the Mack Daddy 4 bring to the table to improve? There are two major improvements made. First,there is a major improvement on the groove pattern, and second is the inclusion of an additional grind option. The face of the Callaway Mack Daddy 4 features the new Groove-in-Groove technology. Many manufacturers, including Cleveland which we have discussed above, have added micro-grooves in between the real grooves to add more spin. Callaway, however, does a little bit more with the Groove-in-Groove technology. The micro-grooves on the Mack Daddy 4 are protruded instead of being recessed into the surface, and so creating more rough surfaces between the actual grooves. As a result of this technology, Callaway claimed a potential increase of 1000 RPM on full shots in all conditions. The Callaway Mack Daddy 4 is also a very good-looking wedge. It has that classic signature design of Callaway, and the key highlight of the design is the four circular holes on the sole, similar to the Mack Daddy 3. The four holes are not strictly cosmetics, either, as they also serve to remove a little bit of weight from the bottom of the head, moving the center of gravity higher in the face to further increase the spin. With the Callaway Mack Daddy 4, there are four different grind options: C, W, S, and X. For those familiar with the previous Mack Daddy wedges, you might notice the inclusion of the extra grind, which is the X. The C grind has a recessed heel and toe areas, allowing an easier time to open or close the face at address, giving you more versatility. Yet, the C grind ‘only’ features an 8-degree bounce. Answering the demand for a more versatile grind, Callaway gave us the X grind option, which is essentially a C grind with 12-degree of bounce for more versatility. 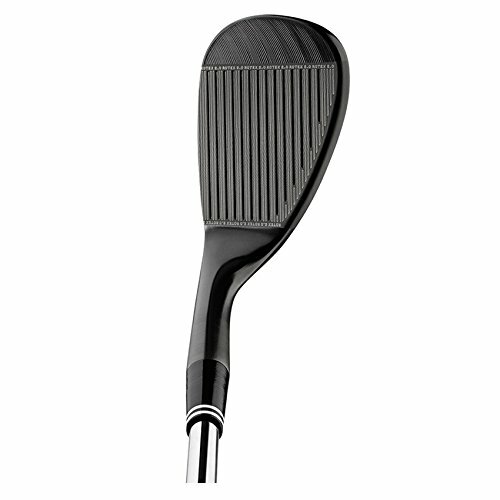 The W grind replaces the U grind in previous Mack Daddy iterations with the widest sole shape for more forgiveness. For those who are used to standard wedge soles, there’s the S grind. Our Verdict A worthy successor of the Mack Daddy brand with very high spin, excellent versatility, and beautiful, classic look and feel of a Callaway. 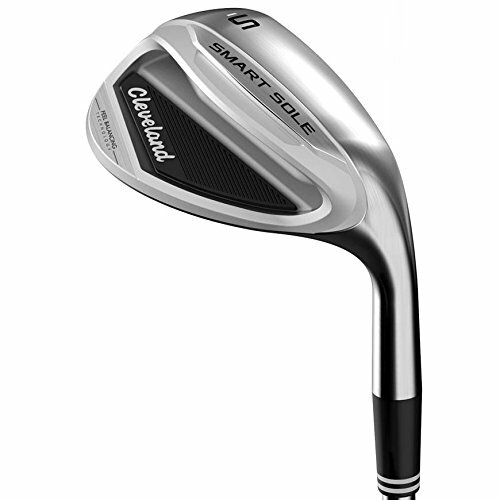 Another one by Cleveland, the Cleveland Smart Sole 3.0 is a unique wedge designed solely to simplify the short game, mainly your chip shots and bunker shots. While the Cleveland 2018 CBX, which we have reviewed above, is already a very forgiving wedge thanks to its cavity back design, the Cleveland Smart Sole 3 took forgiveness to a whole other level. The secret of the Cleveland Smart Sole 3.0 is none other than the unique sole design where the name ‘Smart Sole’ originated. The sole features a three-tiered design to improve bounce and interaction at impact, giving even beginners an easier time to lift the ball. The three-tiered sole also allows more versatility, allowing the club to be more useful from the fairway or the rough. There are two versions of the Smart Sole 3: the Smart Sole 3S (S for Sand) and Smart Sole 3C (Chip). The 3S comes at 58-degree loft angle, and although it is designed for an easier time with escaping sand traps, it is actually quite versatile to work for all types of short shots. With the very high loft, we can take a full, more aggressive swing in the bunker. During Cleveland’s internal test, 50% of golfers with handicaps of 12 or more are more likely to get the ball out of the bunker. 30% of them more likely to land the ball on the green, and impressive result. The 3C comes with a 42degree loft angle and a more upright lie than most wedges, optimized for chipping shots while also allowing more optimal roll out. The club itself is also shorter than usual, forcing us to improve our posture during chipping. Both the 3C and 3S feature Cleveland’s Feel Balancing Technology also included in the CBX wedge. The Feel Balancing Technology moves the center of gravity closer to the center of the clubface, improving feel without sacrificing forgiveness. Unfortunately, Cleveland doesn’t include their highly successful Rotex face on the Smart Sole 3. It is an understandable design choice, however, since spin won’t be much of an issue for most high-handicappers which are the target market of the Smart Sole 3. Although the Cleveland Smart Sole 3.0 can be considered as beginners’ club, it is surprisingly well-designed in the looks department. With the chrome satin finish, it looks really good especially at address with hints of modern, high-tech design elements here and there. Our Verdict The Cleveland Smart Sole 3 is designed especially for high-handicappers struggling with their short game. It doesn’t provide much control or versatility, but it does its purpose really well. 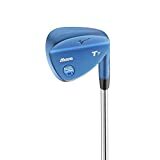 The Mizuno T7, nicknamed the ‘Blue Ion’ thanks to its beautiful satin blue finish is the direct successor of the Mizuno MP-T5, which the only high-end forged wedge available in its time. Forged clubs are widely known for their soft and responsive feel, as well as their pleasant sound. Yet, forged wedges are quite a rarity, because the grooves of a forged wedge won’t last as long as their cast counterparts. The Mizuno T7 is an attempt to answer that issue. The T7 still comes with a forged 1025 steelhead, but it is infused with Boron to increase durability, resulting in a longer-lasting groove. The Mizuno T7 still features the teardrop head design, which has been a Mizuno signature for quite some time. Yet, when the Mizuno T5 features a speed channel in the back of the head, the Mizuno T7 removes this feature, giving it a more classic blade design. Thanks to this, the T7 offers a blade playability with an improved sound and feel. The face features an improved Quad Cut groove, which has been successful with the T5, The lower lofts of 53-degree and below feature deeper, narrower grooves, while those above 54-degree feature wider, shallow grooves. With this progressive approach, we can get the optimized amount of spin with all loft selections. The T7 is also a very beautiful wedge with a white satin or ion blue finish. The compact, teardrop head gave the Mizuno T7 a classic, professional look sought after by many players. Thanks to its forged head, the Mizuno T7 offers a soft, yet sharp responsive feel that advanced players will appreciate. You will know right away when you are making a mishit or a well-struck shot. The sound is thin and sharp, which again, a thing preferred by many advanced golfers. Unfortunately, while the Mizuno T7 offers a lot in the performance department, we can’t say the same thing about forgiveness. The Mizuno T7 is more well-suited for low, single figure golfers that will appreciate its excellent feel and extremely high spin. For golfers looking for a forged wedge yet prefers more forgiveness, there’s the Mizuno S5 offering the same forged head with more forgiveness. Excellent versatility with very high spin thanks to its Quad Cut grooves. Our Verdict An excellent choice if you are a single-digit golfer looking for a forged wedge with decent grooves durability. Excellent sound and feel thanks to its forged design, and impressive control thanks to its Quad Cut grooves. Yet another entry by Cleveland, the Cleveland 588 RTX 2.0 is a fairly old club, superseded by the Cleveland RTX 3in late 2016. Yet there are a couple of reasons why we chose the older RTX 2.0 over the RTX 3. First, obviously, the RTX 2.0, being the older club, is more affordable than the RTX 3.0. Second, we feel that mainly the improvements offered by the RTX 3.0 over the RTX 2.0 are mainly about consistency and forgiveness, of which the Cleveland CBX is the newer and better choice. The name 588 was derived from Cleveland’s 5th model in 1988. The club was a huge success back then, and the name 588 continued to be one of Cleveland’s most popular clubs, having sold over 10 million 588 clubs over the years. 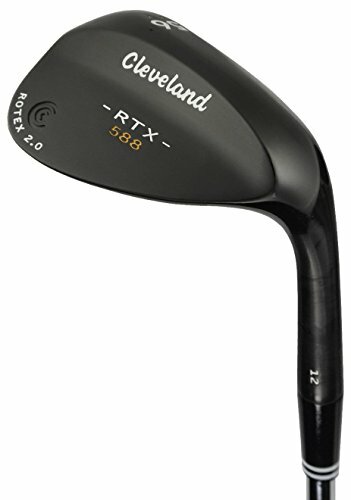 The Cleveland 588 RTX 2.0 is the last club (at least, for now) using the 588 brand, as the Cleveland RTX 3 dropped the 588 from its name. It is worth noting that the RTX 2.0 comes in both muscle back and cavity back design, and the one we are reviewing here is the muscle back version. For the cavity back version, again, we feel that the newer Cleveland CBX is a much better choice. The RTX 2.0 comes in three different bounce: 1,2, and 3 dots with 1 being the lowest bounce angle. For the 1 and 2 dot versions, the head also features sole grinds on the heel and toe, giving you an easier time in closing or opening the face at address, and more flexibility in raising the heel or toe. With this feature, we feel that the 1 and 2 dot bounces are significantly better than the 3-dot counterpart, unless if you really need that extra bounce angle. The RTX 2.0, as the names suggest, also features the Rotex face, although this is the Rotex 2, featuring an older technology compared to the Rotex 3 featured on the Cleveland CBX. The difference lies in the laser-etched lines, where the Rotex 3 is superior in generating more friction and spin. Yet, the Rotex 2 face is still an excellent technology offering a very good amount of spin and control. Our Verdict An excellent wedge from Cleveland offering great versatility around the greens with excellent feel, sound, looks, and decent forgiveness. Being a relatively old club, it is also quite affordable. How many wedges should I carry? Because we are only allowed to bring 14 clubs in the bag during a game, deciding which ones to put in and which ones to leave out are always difficult. Most golfers including pros are carrying two to four wedges in their bags, but there can be many different factors affecting their choices. One of the most common mistakes in deciding how many wedges to bring is making the decision solely based on your wedge play. Yet, to get the most of this decision, you should consider your overall playstyle. The most important principle you should follow is you should carry the clubs that will allow you to save more shots. If you are struggling with long par 4s and par 5s, it is probably a better idea to lose a wedge and add a fairway wood in its place. On the other hand, if you have more issues with your half wedge and three-quarter wedge shots from below the 120 yards, you’ll most likely do better with an additional wedge or two in place of the fairway wood(s). You can carry two wedges if you are confident with your half wedge and three-quarter swings. You can carry extra fairway woods or hybrids to help with your long game instead. In this method, you can carry a pitching wedge (PW) and sand wedge (SW). The key here is to balance your lofts with the 9-iron. 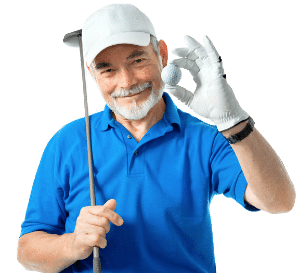 A 9-iron is typically lofted between 40 to 42 degrees, so you can carry a pitching wedge with around 48-degree loft, and a sand wedge with around 56-degree loft. For the average player, the three-wedge system is a common choice, where you still get the room for two fairway woods or hybrids. Here, you can carry a pitching wedge, a gap wedge, and a lob wedge. Make sure the gaps between these three wedges and the 9-iron is around 6-degree each or so. Make sure the gaps are even. If you are struggling with half or three-quarter swings, you might want to opt for four wedges. As before, make sure the gaps between the wedges are even. For example. If your pitching wedge is 48-degree, your gap wedge should be 52-degree, your sand wedge at 56-degree, and finally the lob wedge at 60-degree. How can I assess the quality of a golf wedge? As with other clubs, we can’t assess the quality of a golf wedge by judging just one aspect, but instead by assessing all the different aspects and the overall balance. Golf wedges come with various price tags from below $50 to thousands of dollars. Obviously, we can’t expect similar features and technologies between them. So, the first criteria for determining the wedge’s overall quality is assessing whether the price tag is justified, or even exceeded by its overall value. A very cheap wedge offering surprising technologies and features above its price tag can be considered excellent. On the other hand, a $2,000 wedge performing below a $300 wedge is simply not worth it. Tied to the first point of the discussion, an expensive wedge from high-end brands will generally be more durable, while cheaper wedges are generally less durable. You will need to find a nice balance between the amount you are willing to pay and your requirements. Control and playability are the most important qualities of a wedge. You will need to find a wedge where you can comfortably control the spin and the trajectory according to your needs (again, we should consider the price because more expensive clubs generally offer more control. Also, wedges with more versatility that can perform in many different scenarios are generally a better choice. Different brands can offer different approaches to technology and design. Some wedges are designed to be more forgiving. Some others are designed to give your more playability. Be careful while assessing technological features of a golf club. Just because it has a fancy techno-jargon in its feature list, it won’t mean anything if the technology doesn’t provide any value in performance. Again, you should assess technology and design features based on its price tag. If you are assessing an expensive wedge, obviously you should expect more in the technology department. Pitching wedge is the most famous and commonly used wedge, and is generally included in an iron set. The standard loft is between 44 to 48 degrees, and it is used primarily for longer chip shots or fat shots into the green. With modern irons being designed for longer distance, modern pitching wedge also follows the trend of the lower loft angle. Gap wedge, as the name might suggest, is designed to fill the loft ‘gap’ between the pitching wedge and the sand wedge. Sometimes, a gap wedge is also called utility wedge (UW) or attack wedge (AW) and is also often included in an iron set. The standard loft angle is between 50 to 53 degrees, and is commonly used for fuller shots, more variety around the green, longer chips, and half or three-quarter swing shots. The standard loft for a sand wedge is between 54 to 58 degrees. As the name suggests, the sand wedge was originally invented to escape from bunkers and sand traps, and is characterized with a wider, heavier sole. The lob wedge is the newest addition to the wedge family, ‘only’ been introduced in the 1930s. Before the lob wedge was invented, the sand wedge was the highest lofted wedge available. The lob wedge was then invented to produce more height and spin, especially for shots near the green. For that purpose, the lob wedge has a very high loft of around 60 to 64 degrees (modern lob wedges can offer even more loft). With the high loft angle, full shots are often avoided with the lob wedge, and is more used for chips, bunker shot, and flops. What shot types can I accomplish with a wedge? The term ‘approach shot’ can refer to any shot played with the intention of hitting the green, but the term is more commonly used for shots into the green on a par-4 or -5. Refers to shots intended to fly as high as possible and stops as fast as possible. A short shot below 50 yards using less than full swing (half or three-quarter wedge). A pitch is intended to produce more accuracy than a full shot. Another short shot, this time typically from around the green or very close to the green. Intended to travel a very short distance in the air (commonly with high launch angle) and for the ball to roll closer into the hole after it lands. Also commonly called the bunker shot. A shot intended to escape the sand trap. What is the wedge bounce? The ‘bounce’ of a wedge refers to the sole area that hits the turf during the swing. As you might have guessed, the name ‘bounce’ originated from the phenomenon where this part of the club bounces through the course surface at impact. Actually, there are several design elements involved in this part of the club: the width of the sole, leading edge, and the bounce angle. Commonly, the technical discussions for the term ‘bounce’ refer to the bounce angle. The bounce angle, by definition, is the angle formed between the leading edge to the part of the sole that meets the ground. The differences in bounce angle is a design choice made to prevent a wedge from digging into the turf (or worse, sand), which will stop the momentum of the club head, and thus slowing the impact. The lower the bounce angle, the less sole width we’ll have, and so it will affect forgiveness, and vice versa. We can categorize a wedge to have low bounce angle if the angle is between 4 to 6 degrees. Wedges with low bounce are better suited to players with a shallower swing (or often said to ‘sweep’ the ball). For courses with firmer surfaces and coarse sand in bunkers, wedges with low bounce are also generally preferable. Wedges with 7 to 10 degrees of loft angle belong to this category. These wedges are generally the most versatile and can fit various swing types and course conditions. If the wedge has more than 10 degrees of bounce angle, we can consider it as a high-bounce wedge. In this condition, the leading edge sits higher than usual, and the sole is rested on the ground. So, a high-bounce wedge is preferable for players who dig their swings. It is also generally a better choice for courses with soft surfaces or when the bunkers have soft sand. What is the wedge grind? The term ‘grind’ refers to additional shaping (or ‘grinding) of the wedge sole. Usually, these additional grinds are done around the heel or toe part. Many manufacturers are offering a different range of sole grinds in addition to their standard wedge sole. For example, Callaway offers C, U, and S grind options with their Mack Daddy wedges. Titleist, on the other hand, offers 5 different grinds (M, S, F, K, L) with their SM6 wedges. So, with different manufacturers offering many different sole grind options, choosing between them can be difficult. Yet, if we understand the key principles of the sole grind designs and how they will affect your game. This will be a much easier process. If the grind is made on the heel of the sole, the face can sit much lower to the ground because of the removed heel part. This makes it easier to open the face at address. A grind in the middle section between the heel and toe adds bounce to the sole, helping players with the tendencies to dig at impact. On the other hand, a grind at the toe section allows an easier time to close the face at address. For example, the ‘C’ grind of the Callaway Mack Daddy 3 wedges features a heel to toe grind, allowing it to be opened or closed to give more versatility. The ‘S’ grind stands for standard, resembling a standard wedge sole. The ‘U’ grind, on the other hand, has a grind in the middle section to add bounce. What is the wedge finish? While wedge finish is mostly about looks, there are other areas that can be affected by different finish options. For example, the sun will glare with some finishes more than others. Some finish also scratch or rust easier than others, which will ‘create’ more spin as the wedge is used. There’s also an argument that some finishes will provide a softer feel than others. 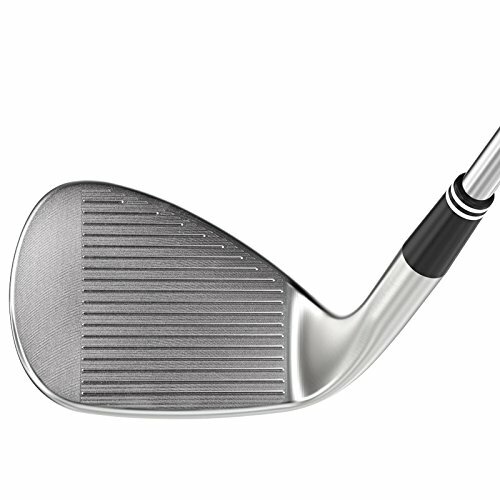 Many argue that wedges with the raw finish will provide a softer, more responsive feel. While technologies have allowed chrome and matte finishes to come closer, this argument is still true, even if it’s very subtle. Also, raw finish won’t glare with the sun, and generally won’t scratch or rust as much as other finishes. Matte finish, which is commonly plated onto the wedge, has the advantage of not causing any reflection. So, it won’t distract you during your rounds under the sun. Yet, matte finish is generally thicker than chrome finish, and so will ‘damp’ the feel and response of the club. Chrome finishes will glare under the sun, but in general, offer a more responsive feel compared to matte. There are also wedges that are offered in unique finishes. For example, the Titleist 200 are offered in ‘Oil Can’ finish, designed to rust more to add spin. The Cleveland 2018 CBX wedge is the best choice based on our reviews, bringing an excellent balance between forgiveness, feel, and performance. The cavity-back design offers extra forgiveness while also offering a smoother transition to your cavity-back irons. The Feel Balancing technology moves the center of gravity closer to the center of the head to improve feel and sound, and the improved Rotex 3 face generates an excellent amount of spin for more versatility and control.